This post is sponsored by Fofie & Mia’s, but all opinions are my own. 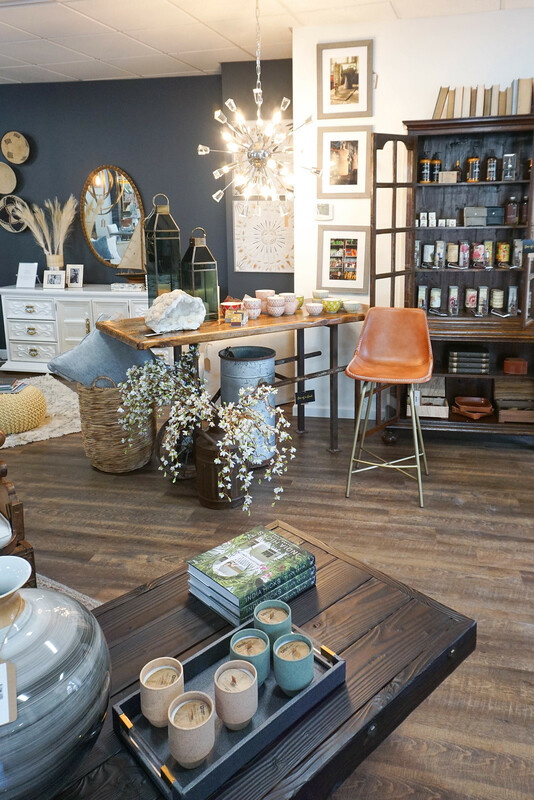 Thank you for supporting local businesses and brands that make this blog possible. 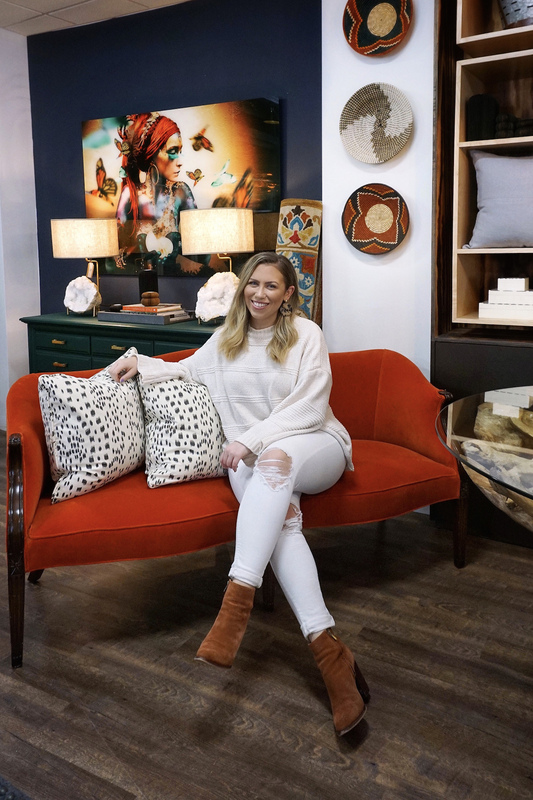 In my Best of 2018 & What to Expect in 2019 post I talked about how one of my proudest moments of last year was having the opportunity to work with so many local Westchester, NY businesses and I am SO excited to be able to continue that into the new year! 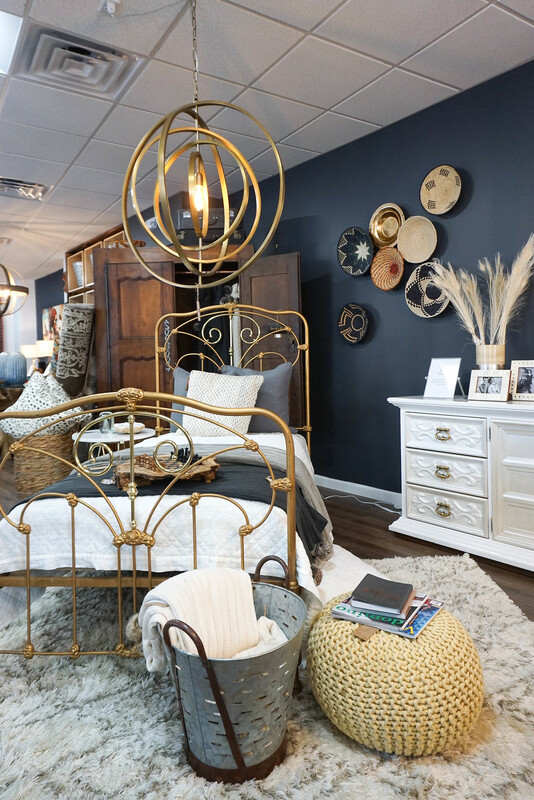 Today I’m introducing you to Westchester’s newest store for one-of-a-kind home furnishings, Fofie & Mia’s. 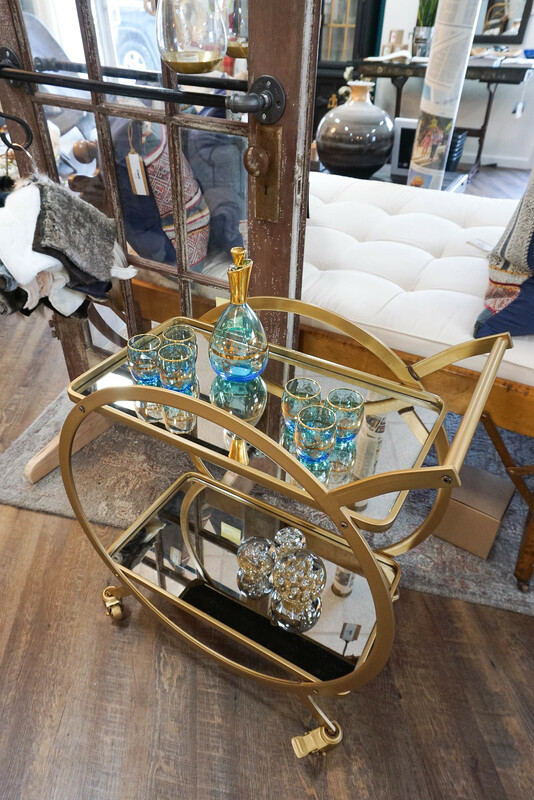 Before I let you drool over all the amazing photos I took in their Larchmont store I wanted to give you a little background on this amazing family run business that is about to be your new favorite home store. 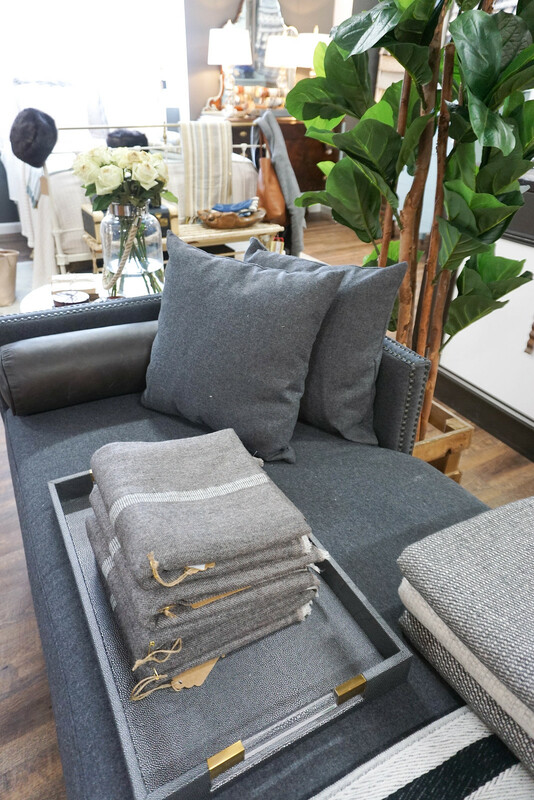 Fofie & Mia’s was founded by two sisters who were inspired by Westchester’s need for a home furnishing store that is both innovative and caters to their clients fine tastes. 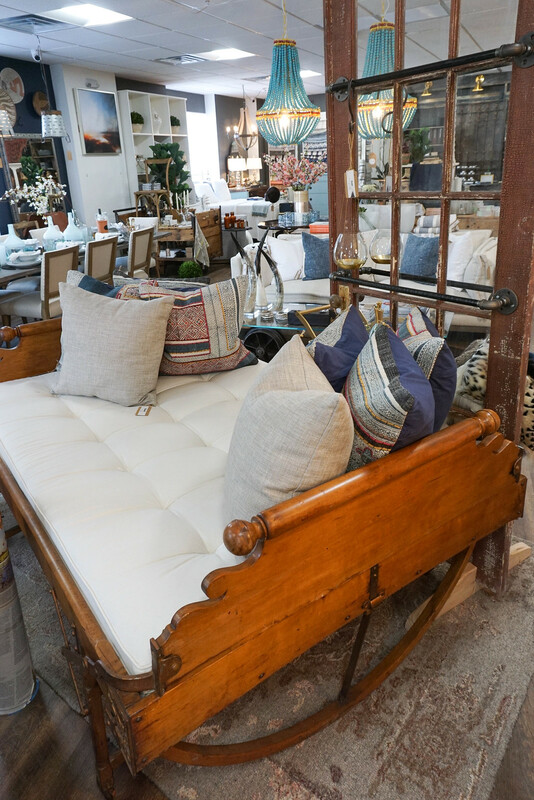 They have everything from vintage treasures and high-end accessories to homemade furniture and refurbished one-of-a kind pieces. 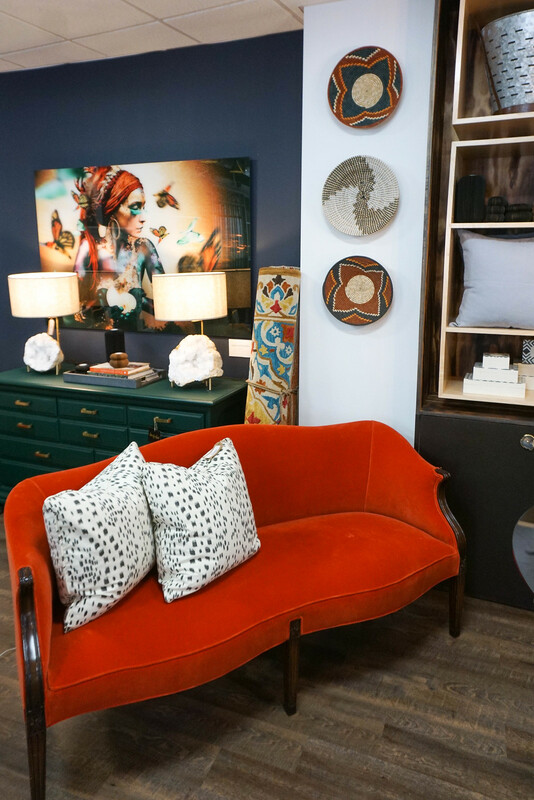 Their eclectic showroom truly has something for everyone, no matter what your decorating style is, and the fact that you’re able to shop for unique, special pieces that no one else will have is extremely appealing to me. 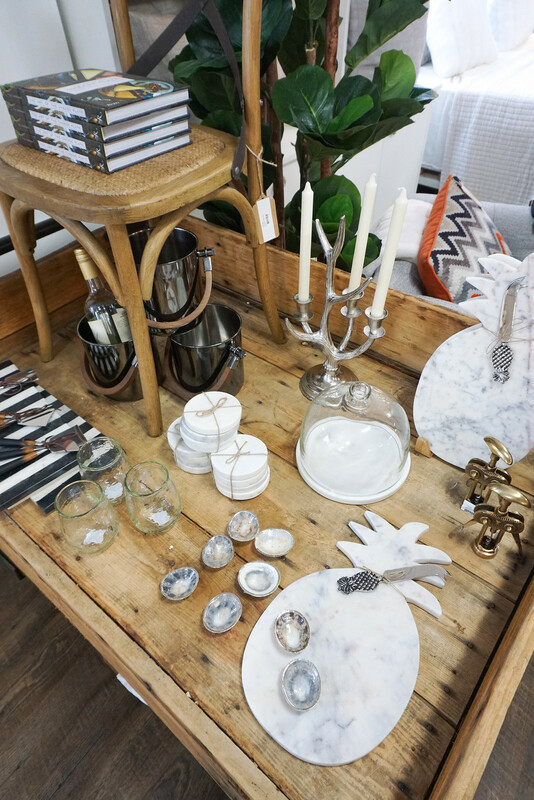 Their inventory is constantly changing and they’ll work with you to find the perfect piece for your space (even if it means creating something custom). 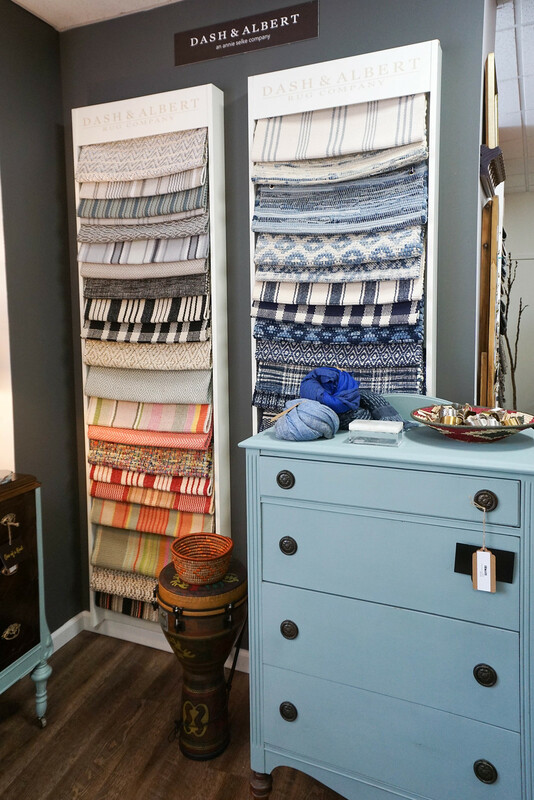 Fofie & Mia’s is also a source for Philip Jeffries wallpaper and Dash & Albert rugs (check out their huge display of samples in the bottom of this post). 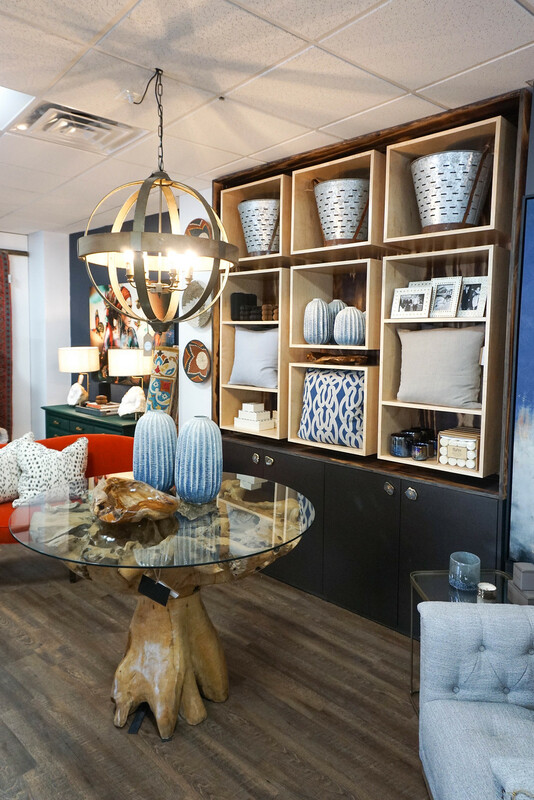 Plus they can do custom bookshelves, cabinetry and much more thanks to their on staff creative craftsman. 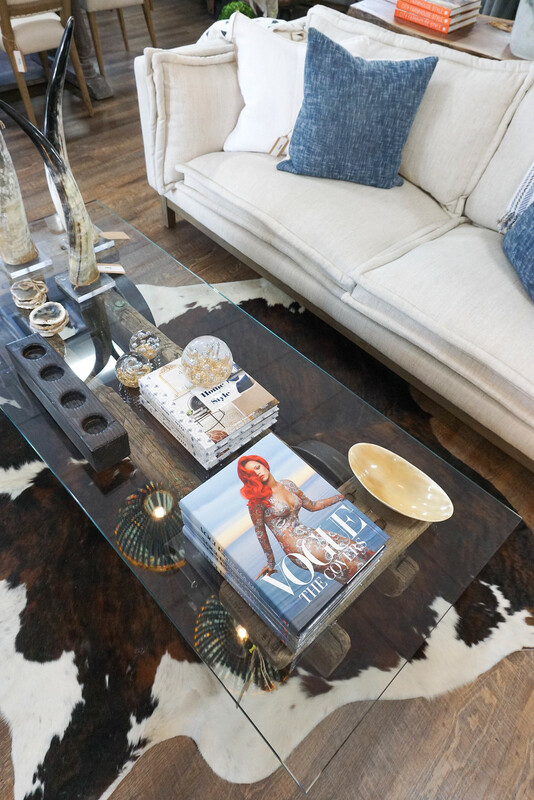 And after making my custom dining room table for my apartment I truly believe that every home needs at least one unique, custom piece and Fofie & Mia’s is THE place to work with you to make yours! 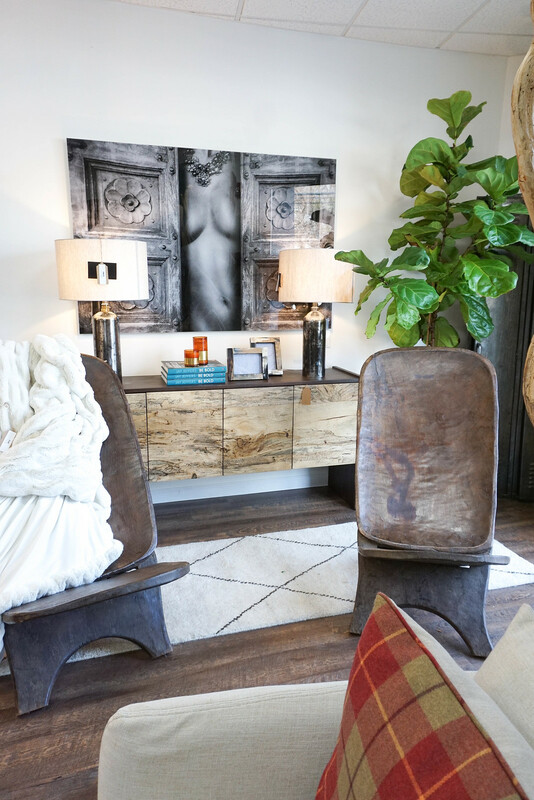 I challenge you not to be inspired as you scroll through these photos of my current favorite pieces in the store! 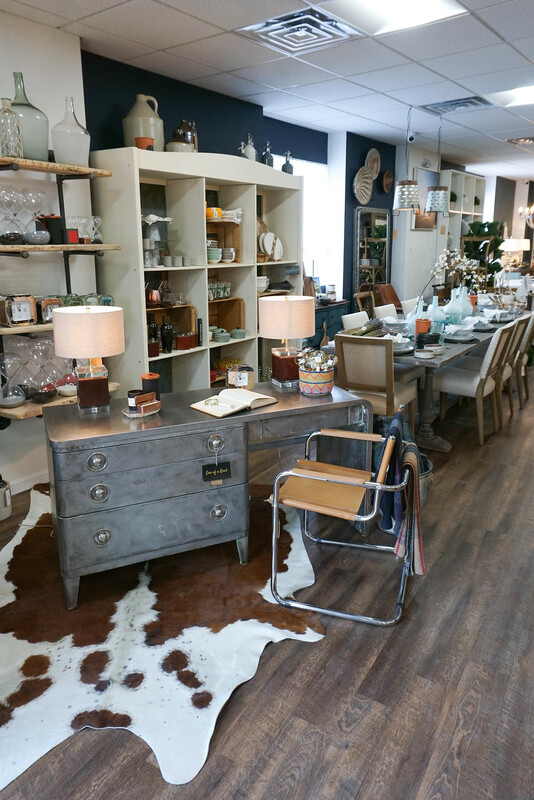 And make sure to stop by the next time you’re looking to redecorate your home, spruce up a small area or just for a little bit of inspiration! 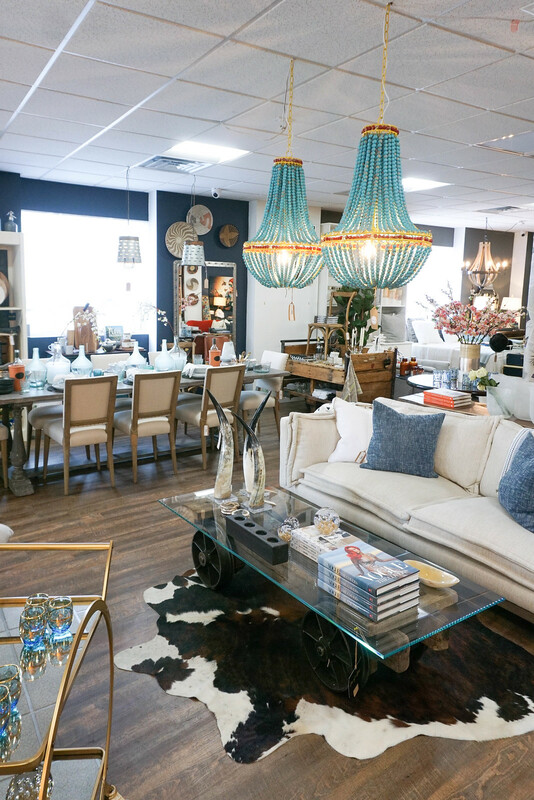 Visit Fofie & Mia’s at 2417 Boston Post Rd, Larchmont, NY 10538!